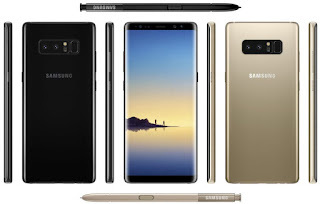 Samsung will bring soon Samsung Galaxy Note 8 in this month august 2017 with latest Android version Android Nougat. The Samsung Galaxy Note 8 has 6.3" super AMOLED LCD Resolution 1440 x 2960. It also has 6GB Ram & 64GB Rom and First samsung phone with dual camera technology(12MP dual). The Battery Capacity of Samsung Galaxy Note 8 is very good 3300 mAh.